Daily Departures 6am - 11am and 2pm - 6pm including pick up and drop off time. For single/ solo travelers kindly check on our home page if we have a departure where you can join, we shall honor your booking. Please note park entry fees are not included in all options. However entry fees to Elephant Orphanage and Giraffe center and Lunch are included with the various options. Nairobi National Park lies 10 kms (6 miles) from the heart of the capital. It was established in 1946, 114 kms (44 sq miles) of pristine savanna with a large stock of migratory game and lies between the Nairobi-Mombasa railway and the garden suburb of Langata. It is open on its south-east perimeter and here the Kitengela Conservation Area allows a corridor for the natural migration of the game which takes place with the seasonal rains. Game drives are unique everytime non is like the other. The National Park is open from 6am to 6pm every day of the year. Read below on how you can extend to other attractions in Nairobi. Please find a compilation of reviews from our travellers from various distribution partners. We have just copied and pasted. Maina was a great guide and very friendly guy...we hunted relentlessly until we found a pack of 8 lions at sunset!! The guide was excellent, using his 10 years experience to take us into all areas of the park. The open top made our experience a great one giving clear views and photos. Sehr kompetent , haben Löwen, Nashörner ,Giraffen,Zebras, Büffel, Antilopen , Krokodile gesehen. Viel Platz im Auto mit offenem Dach. Buchung erfolgte kurzfristig übers Internet von , völlig problemlos.Guide sehr zu empfehlen . Pick up from the hotel was on time. Maina (? ), our guide, really knew where to find the animals and he knew a lot about birds, too. Maina was a wonderful guide and was very knowledgeable about everything we encountered! He also took us to a handicrafts market after the tour as well! Our guide Maina was very good aware of the location of wild animals (like lions) and could show us plenty of wildlife in a limited time period. 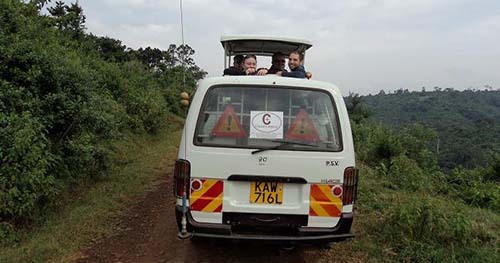 This half-day tour is perfect when having a long layover in Nairobi without worrying about luggage and transport. The company is flexible to pick you up and drop you at your hotel or at the airport. My https://cruzeiro-safaris.com/nairobi-tours/product/nairobi-national-park-tour-and-elephants-orphanage/ was confirmed straightaway. When I emailed to ask about some extra activities, I got offered a visit to the elephant orphanage and the giraffe centre for an extra 50USD. The guide was very good at finding animals in the National Park. I would definitely recommend it to friends. 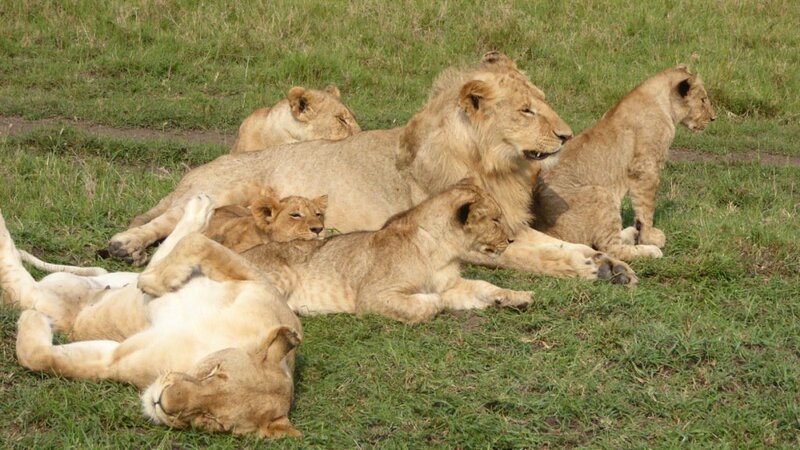 If you have a short stay in Nairobi, a half-day tour of the Nairobi National Park is the way to go for seeing animals in their natural habitat. Also, trying to do this on your own without a guide will most likely cause you to miss a lot of the animals, as the guide is a trained spotter! Well worth the money! 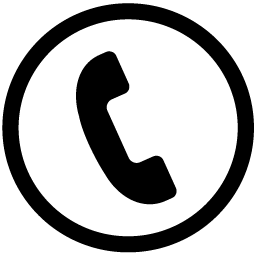 As many other customers have stated, the experience in itself is incredible, but the quality of the service provided is also really good. Although the real price to be paid was far above what’s advertised in the website (~160€ instead of ~50€, plus the entrance fee to the park), I assume it is due to high season. Fortunately, the cost was worth the prize because we got to see a lot of wildlife in its prime, including lots of calves and pups. The guide attention was exquisite, his friendliness and willingness to make it a good experience for the group. My only suggestion is that prices are updated to reflect the reality of the season, although when I purchased it I knew how much it was it’s cost and assumed it freely. We had an amaaaaazing day with Maina! Couldn't have imagined a better experience for a half day safari, we wish it had been longer. He was incredibly friendly, on time, communicative, and sweet. He was very informative about the park and animal behavior, accommodating if we wanted to stop or carry on, did a great job of keeping an ear on the radio for any animals elsewhere that we might want to see, and was interested in helping us identify all of the birds (which we were especially interested in)! When we arrived at the airport, we got into at a different terminal than anticipated, and he was very helpful organizing to meet at a different spot, and later in the day he kept an eye on the clock so that we were perfectly on time for the one-hour slot of visiting the elephant orphanage. We really appreciated our time with him, and would recommend him as a guide for anyone else that would be interested in safari. A half day in the National Park is definitely worth the effort. You get to see virtually every animal (hopefully) within a relatively smaller space, compared to say going to the serengety or the Maasai Mara. It is within the city, so you don't have long road travel (which considering the road conditions to, say, Maasai Mara, is a huge plus). If your time in Kenya is limited and you want to see some wildlife, I am not sure there is a better way to do it than to visit the National Park. The ticket prices, I think, are a bit steep for foreigners (at @ $45 or so), but then that is to be expected anywhere in the country if you are not a resident or a citizen. Get a good guide with a good van/Jeep, and you are in for a wonderful day. We used GetYourGuide to arrange our hotel pickup/drop off, guide, and van for the half day safari, and we couldn't be more pleased. Hope this helps! Timothy was my guide. He called me the night prior to confirm pick up time and to insure I brought bottled water and something to snack on if needed. He was prompt in picking us up, very friendly, very knowledgeable, and extremely patient when we wanted to just sit and watch the animals for awhile. When he took us to the Elephant Orphanage, he arrived there early to afford us the opportunity to be better positioned to interact with the elephants and trainers. We had the lunch included with our ticket. Timothy advised us to make sure we save a good appetite, because he took us to the Carnivore Restaurant and patiently waited while we devoured that lunch! And the lunch was AWESOME!! I literally ate about 9 differently meats!! As he said, it was a beast of a feast! I would definitely recommend the tour and Timothy the Tour guide, again!! The tour was great, my driver and guide was knowledgeable and very kind - he always tried to get as close as possible to the animals. He picked me up on time at the hotel. I was alone in the van and we saw a lot of animals including giraffes, hippos, monkeys, impalas, antilopes, and an entire family of lions, we got very lucky! Then we went to the baby elephant's orphanage which is just outside the park. Definitely worth it. I booked the 6am game drive at the last minute- literally 5pm the evening before, and someone called me within an hour to confirm the pickup time the next morning. Our guide was very experienced and made sure to get us a good view of the animals (even to the point of cutting off less assertive drivers). My only critique is that the road from the northwest area of the park down to the southeast was really rough, and the viewing of the hippo pond wasn't really worth the 1 hour off-roading each way. I'd ask to skip it and stay closer to the main gate as that's where we saw the most amount of large game. Fanuel was a fantastic guide. Pick up was on time, and entering the park. We saw so much wildlife and Fanuel got us up close to a lioness on the hunt. Carnivore was also great for lunch following the National Park and a visit to the Giraffe Sanctuary. An excellent trip all round. The guide was at my hotel on time. He was very knowledgeable and friendly throughout. I was in fact the only person on this tour, so had the vehicle to myself. We saw a wide range of animals (all those expected), and I was amazed at the size and diversity of the park. We had a great trip with our guide John. Saw pretty much everything we wanted to see, except hippos. Guide picked us up on time, went to the elephant orphanage after the safari, great experience as well. Prenotato alle 22 della notte precedente per escursione alle 6 del mattino. Sono stato subito contattato per i dettagli. Il pick up è stato effettuato direttamente al mio indirizzo nonostante non mi trovassi in un hotel ma in un appartamento privato. Autista gentilissimo ed infine... avevo il pullman solo per me! Ero l'unico passeggero. Credo questo sia stato un caso ma comunque il servizio è in generale impeccabile! My family and I had a great tour...tbe guide was knowledgeable and mostly friendly. We saw a lot of animals and the ride felt safe. This beautiful day wad unfortunately ruined when the driver asked me for 1000 shillings more for some strange reason. Due to his accent we didnt understand why...but he insisted. I was very put off and upset as I do not like to be taken advantage of. We won't book with them again, or reccomend them to friends or family. He stated this 1000 shillings after we already tipped him 500 shillings for the day. Just sad. Die Abholung vom Hotel war sehr pünktlich und dann ging es auf direktem Weg zum Nationalpark. Der Fahrer wusste sehr gut Bescheid, wo man die Tiere finden konnte. Es gab in unmittelbarer Nähe zum Fahrzeug Giraffen, Gnus, Zebras, Antilopen zu bewundern. Ein Löwe lief von einem Wasserloch kommend direkt an uns vorbei. Nashörner und Flusspferde waren etwas weiter weg. Die vereinbarte Zeit wurde in vollem Umfang eingehalten. Amazing! We had a great day, the driver was really nice and knew a lot about animals. We did the afternoon tour and we were lucky to see many animals though! The car was great, could stand up and watch and feel the wind in My hair ...great adventure!! I had a free morning in Nairobi so I wanted to book a half day game drive the night before. I booked online and within an hour Clement called me and requested that we meet in person to talk about pickup. He met me at my hotel and explained that an earlier start would​ give us a better chance to see more animals. He was spot on. We were the first in the park and we saw more than I expected. This was a great outing! Wir starteten 6 Uhr. Der Guide war sehr pünktlich. Bereits 20 min später waren wir an einem der Eingänge. Wir hatten einen Bus mit 8 Plätzen für uns allein. Danach hat uns der Guide auf unseren Wunsch hin zum Elephanten Waisenhaus gefahren für knapp 20 Euro aufschlag. Alles in allem ein sehr gelungener Trip. Super Guide, trotz Abendtour zweimal Löwen gesehen! The morning tour was wonderful. We saw a huge variety of animals in their natural surroundings. Our guide was very knowledgeable and informative. A great way to have a safari experience if your time is limited. The guide was great. He really knows where the animals are. But the car was very old. We wanted an African Safari experience and originally thought about going to the Masai Mara region. After we were informed of the poor unpaved roads and uncomfortably long drive we opted for the Nairobi National Park safari tour. I was not disappointed. We saw lots of wildlife including Hippos, Giraffes, Zebras, Gazelles, Baboons, Water Buffalo, Many different Birds and a glimpse of two Lions. We opted for the 6am pick-up with lunch. The "Carnivour Restaurant" was really enjoyable. The staff and food was excellent. The skewers of meat just kept coming. There was atleast 15 different BBQ meats before I saw one repeated. The "fixings" we're also great. Reibungslose Organisation mit einem freundlichen und kompetenten Guide, der uns atemberaubende Augenblicke bescherte. I would suggest doing the Safari in the early morning. During the day the animals are less active and hence it is more difficult to spot them. We saw lots of wildlife- zebras, Rhinos,Warthogs, giraffes, Impalas but no lions unfortunately.However our driver went to great lengths to find a lind but the Kenyan President was due to visit which cut short more vision of lions. Great park. Very knowledgeable guide. A great morning in the park with Clement as my guide. We saw lots of animals, including two groups of lions! Definitely recommended. My short 3-hour safari was made really great by the very experienced guide who really wanted me to see all the animals that I could. Clemente and Hiram our guides were amazing - I highly recommend the local tour provider. We had very little time in Nairobi since we were just in town for a week for a conference, and this was an extremely last minute decision to go. 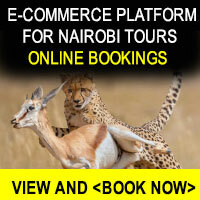 I totally recommend doing this safari if you don't have a lot of time and want to see a different side of Nairobi. Our guide was great and very knowledgeable about the park. I recommend going early in the morning (6am) fewer visitors in the Park and more likely of a chance to see the animals! privé tour gehad. ik was de enige persoon. Binnen 5 minuten stak er al een neushoorn voor de auto over. Mijn tour was een halve dag in de middag, niet de beste tijd om alle dieren te kunnen zien. Maar toch veel meer gezien dan verwacht. De gids deed heel erg zijn best om alle dieren te vinden in het park. Very lucky, got a great guide and enjoyed the tour. While working in Nairobi for a week decided to go on the half day safari. The tour was good and the guide was knowledgeable when we asked questions. Overall good experience but would have preferred more time in the park (I believe the total time includes pickup time). Would book a full day next time. The Carnivore restaurant was a great. Food was excellent and service was good. No complaints and would go back again. I was pleasantly surprised by this opportunity to get a small taste of the Kenyan wildlife so close to the city. A great option if you only have a day to spare while visiting Nairobi. The guide was pleasant, knowledgeable and professional. I thoroughly enjoyed this tour! With a last minute https://cruzeiro-safaris.com/nairobi-tours/product/nairobi-national-park-tour-and-elephants-orphanage/ the night before our tour, we were worried that the details might not come through. But everything worked out so smoothly! The guide was right on time and got us into the park early before the crowds. We found all 4 of the big 5 that are in the park and he even went out of his way to find us lions. The part we liked best though were the beautiful and scenic landscapes that made for some of our best pictures. The baby elephant tour add on was so fun and the animals were very cute. The trip to Carnivore restaurant afterward was also great. My wife who is a vegetarian had plenty to eat, and I - a meat eater - got to taste a number of unusual dishes. The whole trip was very expensive, but that is what a good tour plus convenience costs. I would suggest to the operators that they find a way to include park tickets into their costs so that all of the expenses are taken care of at once. But other than that, everything was top notch. Better than expected; felt like a proper mini-safari. Saw lots - lion, crocodile, giraffes, buffalo, hippos, zebras, rhino etc. Amazing for a morning trip, and definitely not a zoo or zoo-like feeling, although the 'Safari walk' might be (I didn't do that). We could see 6 Lions, 4 Rhinos, 2 hippopotamus, over 10 Giraffes and other lots of animals on this tour. It was great experience for me. Really fun trip in spite of the rain. Saw lots of animals and our guide was excellent.